Call us today at 1-888-661-7469 to find out about great advertising packages in OSM… North America’s Best snowmobile magazine! Never has it been easier for your message to reach so many active, dedicated and excited snowmobile riders, while introducing your products and services to new enthusiasts across North America. 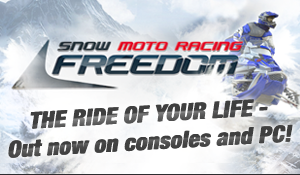 Your message will be delivered to hundreds of thousands of snowmobile riders with a single buying decision. 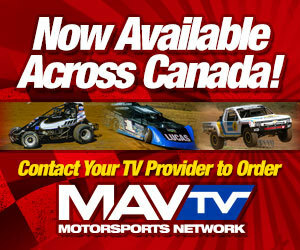 No other snowmobile publishing house in Canada can expose your company to as many readers as OSM can. OSM carries official messages from provincial Snowmobile and ATV Associations in British Columbia, Alberta, Ontario, New Brunswick, Nova Scotia, Newfoundland, and Labrador. Enthusiasts across North America, from coast to coast are ready to read about your great products and services, simply call 1-888-661-7469 to talk with our Advertising and Show Sales Team. We will provide you with the straight goods on how your company can enhance its image and increase its bottom line. Printed on a full Web press on coated stock – a saddle stitched publication. We require all advertising to be submitted in digital format under the following specifications. Vector EPS with scanned graphics embedded in Quark Xpress are most desired (files created on PC should have all fonts converted to outlines/curves). Working copies of advertisements, including supporting files (all fonts and graphics) should be included with the submission. Full page (or larger) advertisements may also be submitted as PDF when the matching file in EPS or Quark Xpress format with all supporting fonts and images is included. Advertisements should be submitted on CD or Zip disks. Files sent by email cannot exceed 3 megabytes. All photos should be scanned at minimum 266 DPI resolution and saved as CMYK or grayscale. High resolution (300 DPI) TIFF and Photoshop EPS files are also acceptable when the matching Photoshop PSD file and any fonts used are included. All colour must be CMYK (4 colour process). A four colour digital proof must accompany all colour files. For black and white ads a laser proof or black and white digital proof must be included. ONTARIO SNOWMOBILER MAGAZINE cannot be held responsible for defective files submitted by advertisers, therefore we request all ads be carefully inspected and output tested before submission.